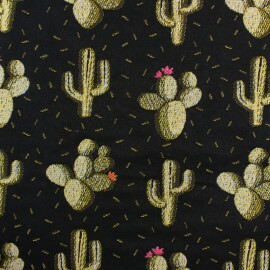 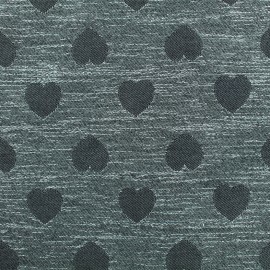 Fall for this pretty jacquard fabric, Made in France, with a full of flowery cactus on a pretty black background. 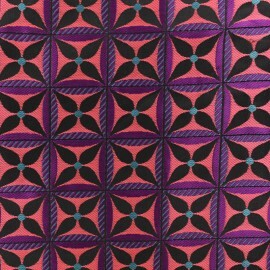 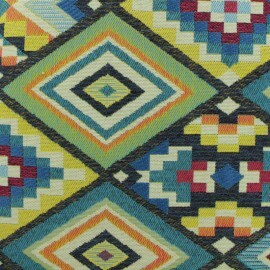 This colorful jacquard fabric is ideal for making original cushions, curtains or decorative poufs. 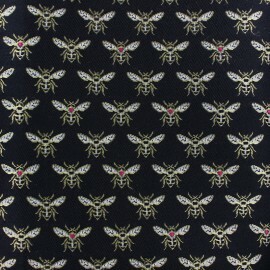 Fall for this Bee jacquard fabric, Made in France, with a full of bees, as pinned in the frame of an insect collector, on a pretty black background. 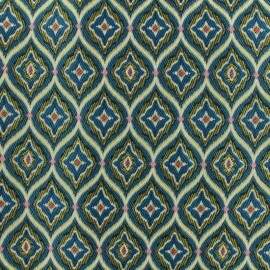 This colorful jacquard fabric is ideal for making original cushions, curtains or decorative poufs. 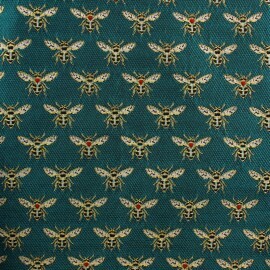 Fall for this Bee jacquard fabric, Made in France, with a full of bees, as pinned in the frame of an insect collector, on a pretty emerald green background. 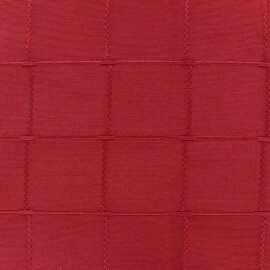 This colorful jacquard fabric is ideal for making original cushions, curtains or decorative poufs. 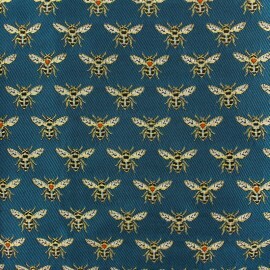 Fall for this Bee jacquard fabric, Made in France, with a full of bees, as pinned in the frame of an insect collector, on a pretty peacock blue background. 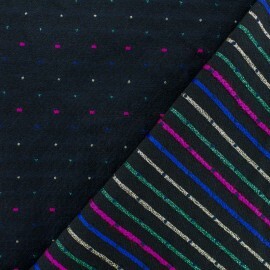 This colorful jacquard fabric is ideal for making original cushions, curtains or decorative poufs. 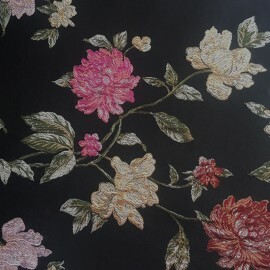 Lovely jacquard fabric, ideal to create cushions, curtains, tablecloths, bedcovers... Can be also used to repair armchairs or sofas. 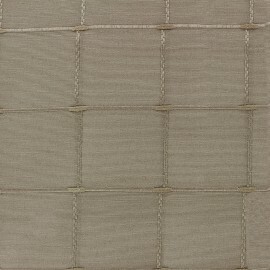 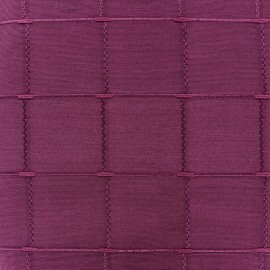 Our upholstery fabric jacquard owes its name to the famous Joseph and Marie Jacquard’s loom process. 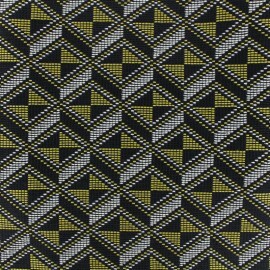 This process allows industrial fabrics designers to create wonderful woven patterns onto fabrics thanks to a loom. 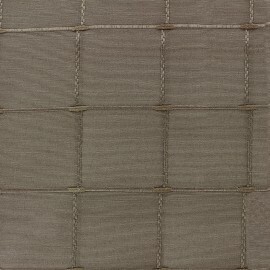 Among our selection of linen, polyester canvas textiles, twill, satin, burlap, silk, fleece, organza, quilting, cotton cloth, flannel, dupioni, taffeta and velvet upholstery fabric, discover our jacquard fabric for upholstery! 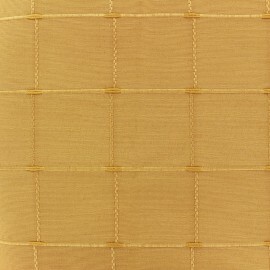 Discover our large range of high quality jacquard fabric in your online fabric store. 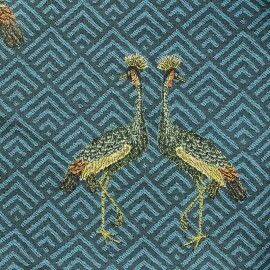 Among our wonderful patterns, you will fall in love with stripes, damasks, paisleys, animals, navajos, geometrics or floral print fabric. 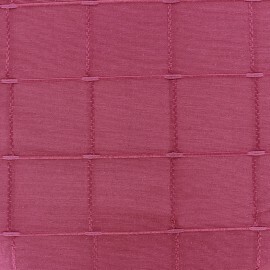 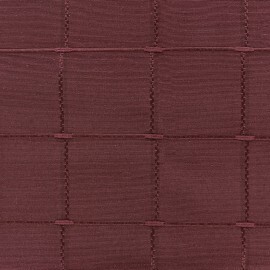 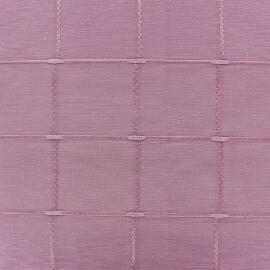 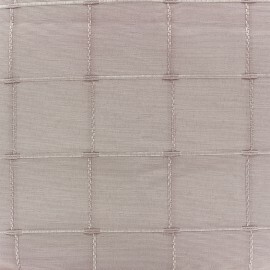 We offer a wide range of colors from taupe, lilac, navy, aqua, to fuchsia! 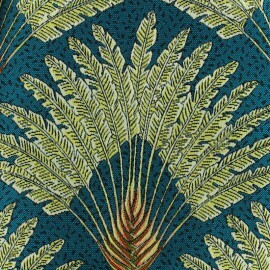 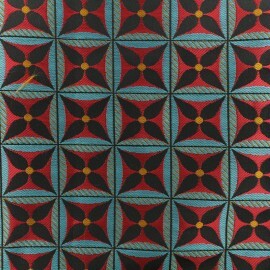 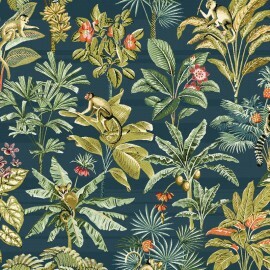 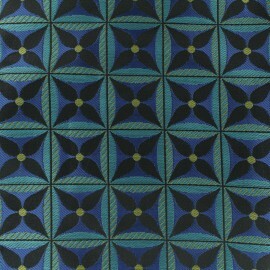 Our home decor fabric for upholstery is available by the meter. 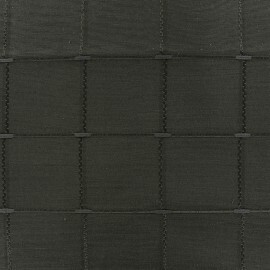 All of our material can be cut to fit your exact needs.Our minimum order quantity is 10 cm. 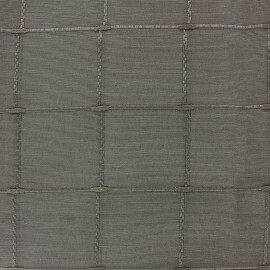 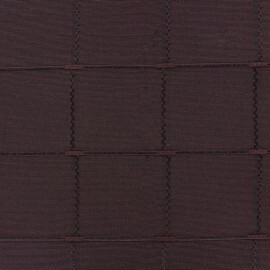 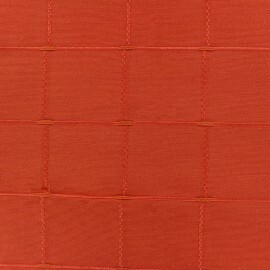 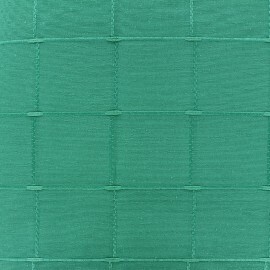 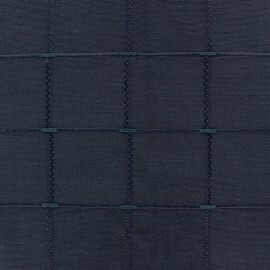 You can ask for swatch prior to ordering your jacquard fabric. 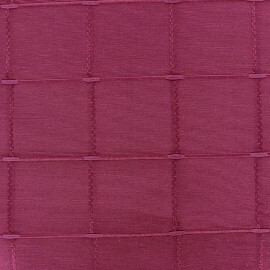 Then if you wish to order by the yard and more, you will receive the ordered amount in one large piece. 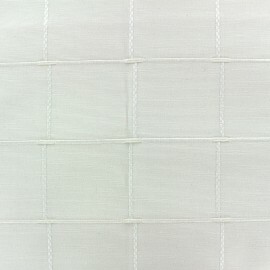 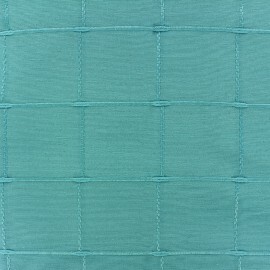 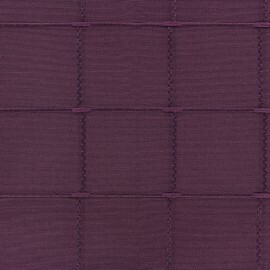 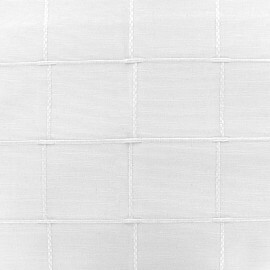 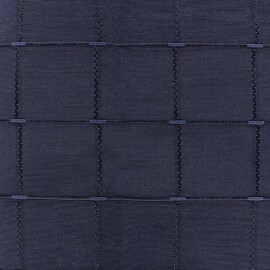 Beginners and sewing professionals will find our jacquard fabric very easy to handle. 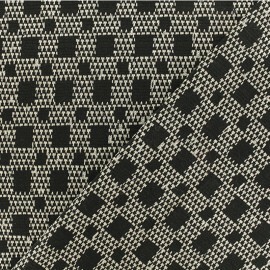 Thanks to its woven patterns, our jacquard fabric is stronger, thicker and more durable than any other type of woven fabric and garment. 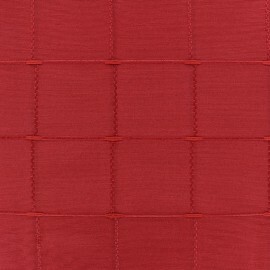 Also, it can completely change a room from a casual and cosy spirit to an elegant home décor style. 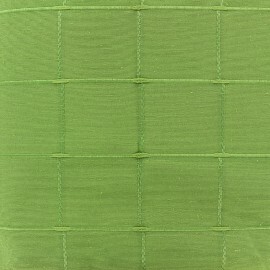 Sew wonderful chairs, stools, rugs, patio lounge furniture, daybeds, plaid, sofas and more. 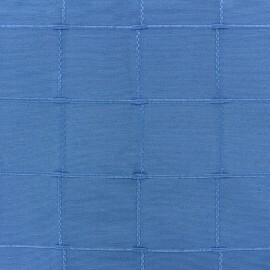 We advise to wash it at least once before sewing. 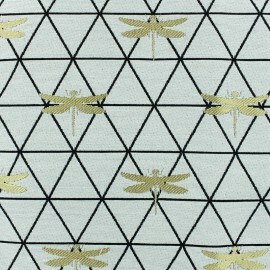 Then, let your imagination run free and create cushions and decorative pieces. 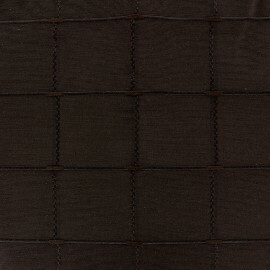 Add sequins, ribbons and other haberdashery bits. Enjoy as well our high quality upholstery fabrics: faux leather furnishing fabric, cork, washed linen, foam, blackout fabrics and faux suede.